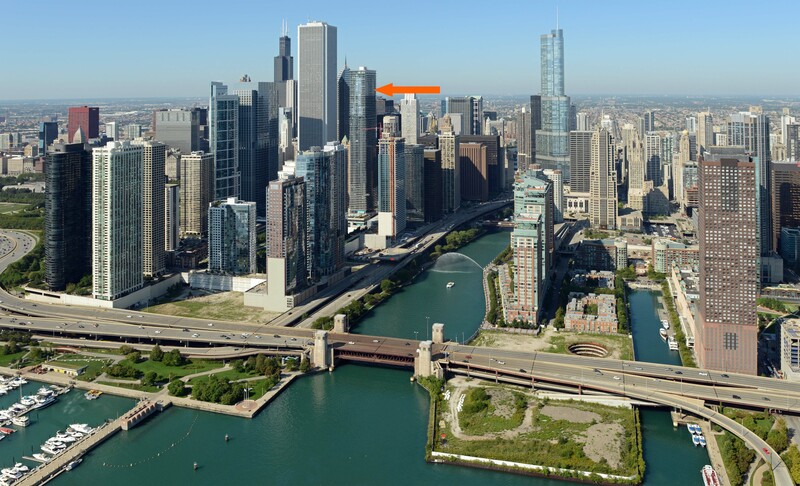 Aqua is an 82-story mixed-use tower in the 28-acre Lakeshore East development on Chicago’s New East Side. 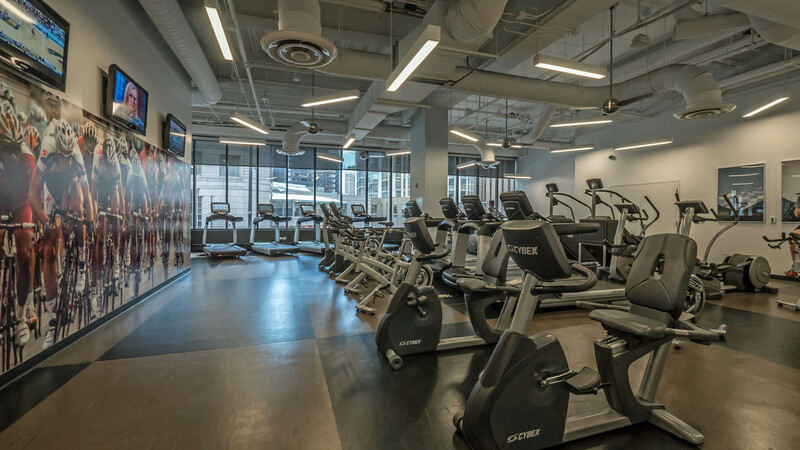 The building has a 334-room Radisson Blu hotel on floors 4 through 18, 474 rental apartments on the 19th through 52nd floors, and 262 condominiums on floors 53 through 81. Aqua also has 9 townhomes, retail and office space, and a parking facility with space for 1,271 cars. Occupancy began in 2010. Aqua was designed by Studio Gang. 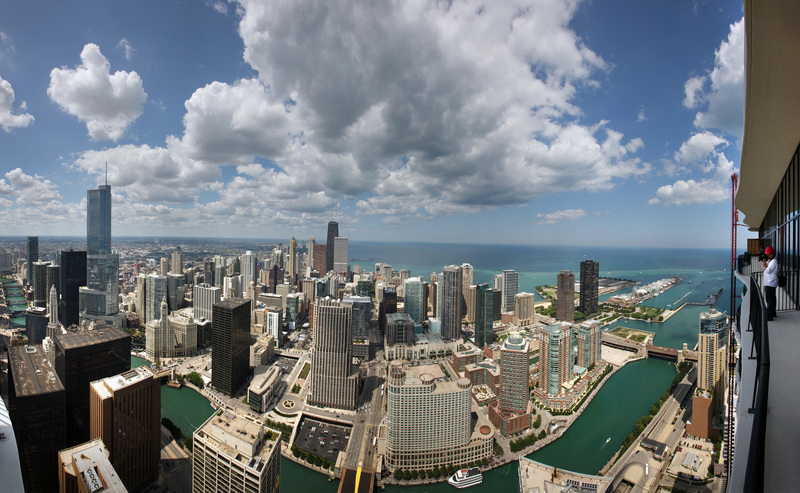 It is the tenth tallest building in Chicago, and the tallest designed by a woman-owned firm. Its white, wafer-thin balconies bulge outward, each slightly different than the other. They race around corners and shoot upward in fantastic, voluptuous stacks. 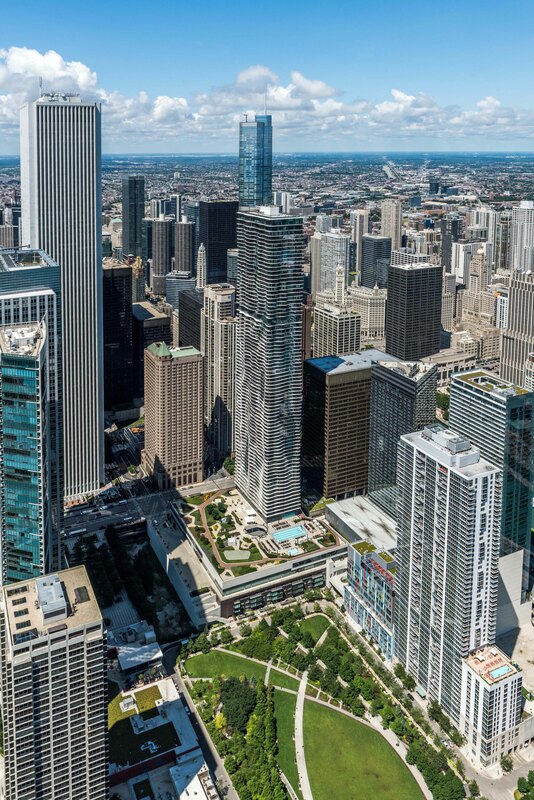 This is a new vision of verticality and it makes Aqua one of Chicago’s boldest — and best — skyscrapers in years. Magellan Development was the developer and McHugh Construction the general contractor. Aqua has fourteen different studio, convertible, 1- and 2-bedroom floor plans ranging in size from 571 to 1,160 square feet. Aqua’s curving balconies are one of the elements that give the building its distinctive look. All of Aqua’s apartments have private balconies, and they’re almost all larger than the typical high-rise apartment balcony. One- and two-bedroom corner apartments have wraparound balconies with a panoramic perspective. Aqua’s apartments are attractively finished, but the finishes don’t come up to the higher standards at some of the newer buildings. Kitchens have gas ranges, built-in microwaves, dishwashers and refrigerators with ice-makers. Studio apartments have small living areas but much better-than-average closet space for studios. Two of the studio plans have side-by-side washer / dryers. 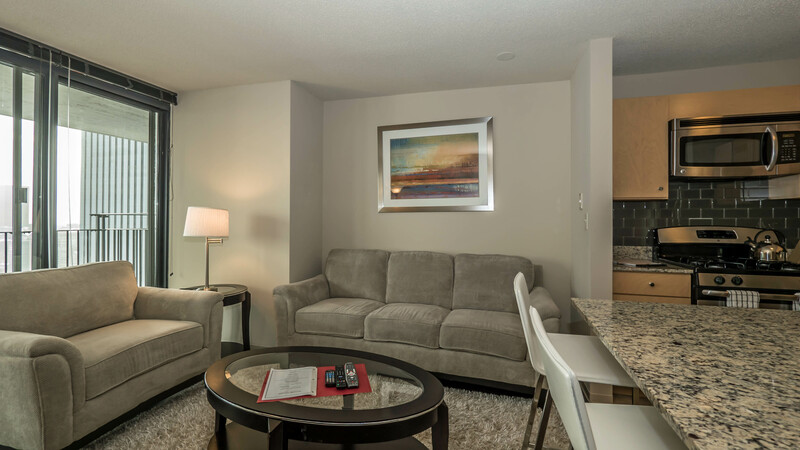 All of the one-bedroom apartments have very compact living / dining areas and lose a fair amount of space to travel. Entry foyers avoid the shoebox / bowling-alley effect you find in many high-rise apartments, but cut into the functional space. All of the one-bedrooms have generous closet space. Aqua didn’t opt in to the recent trend of higher than 7’8″ ceilings in new apartments. Floor-to-ceiling windows help make the space feel more expansive. The apartments have wood-look floors and carpeting. All have in-unit washer / dryers, some of them side-by-side. Two-bedroom apartments are on the building’s corners and have wraparound balconies, compact living areas, and the preferred split-bedroom layout. 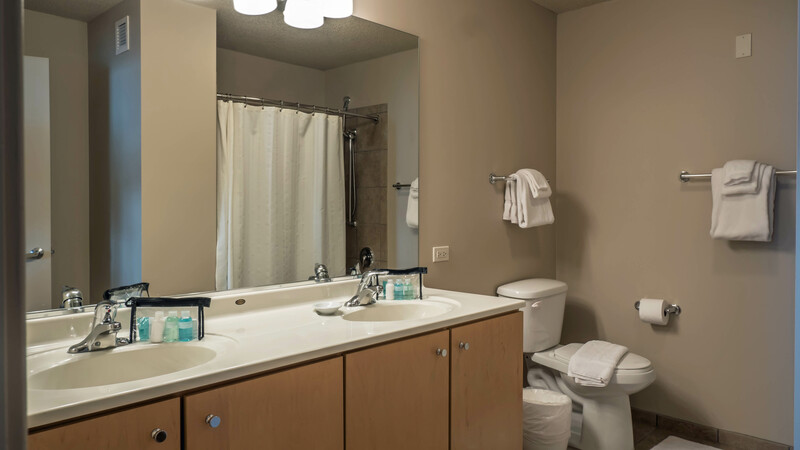 Master baths have double-bowl vanities. If a stall shower is one of your must-have features you’ll need to look elsewhere. There are none to be found at Aqua. 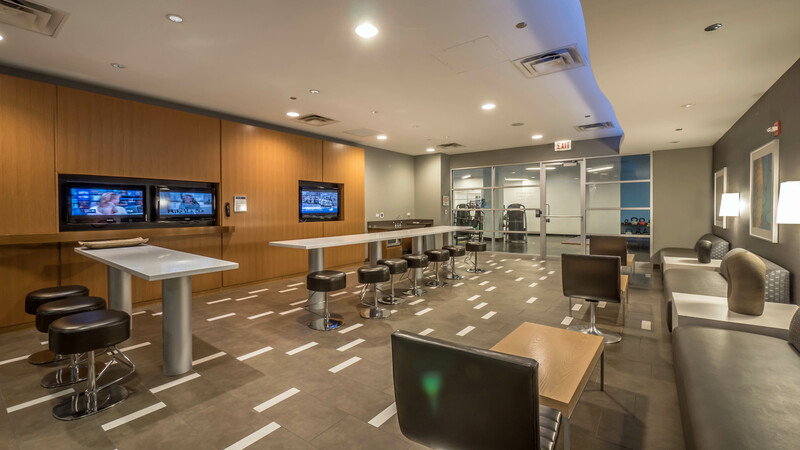 Short-term furnished rentals are available through Suite Home Chicago. Views. 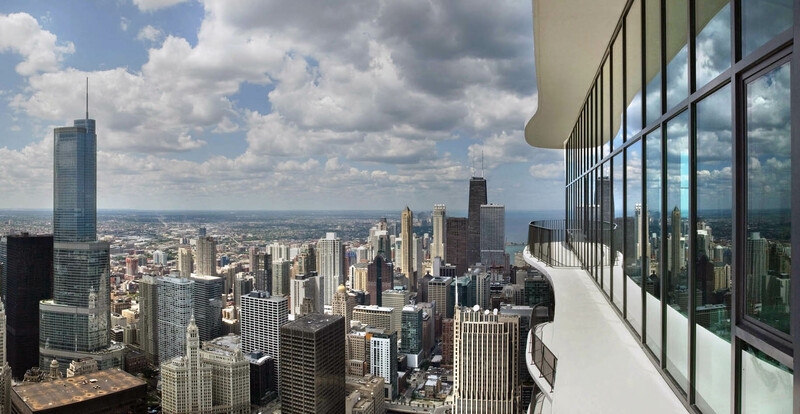 Aqua’s high-floor condos have some of the city’s best views. 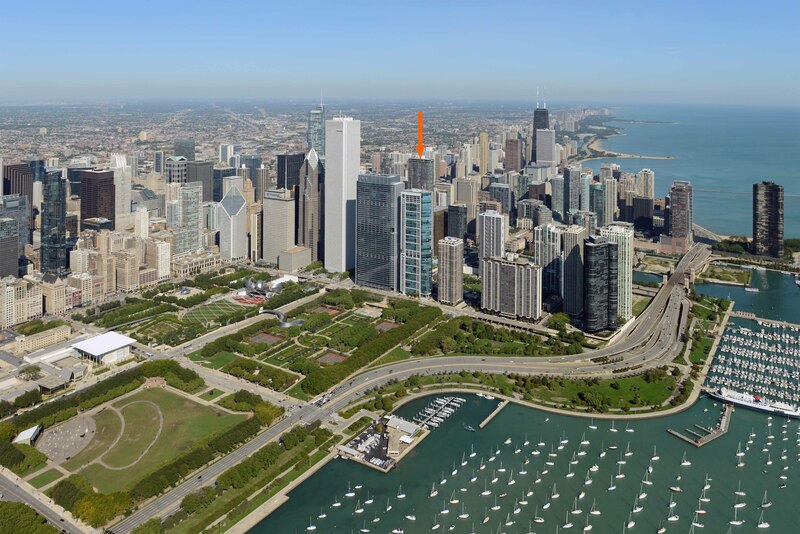 The views from most of Aqua’s apartments, however, are constrained by adjacent buildings and may be further limited by new construction at Lakeshore East in the future. 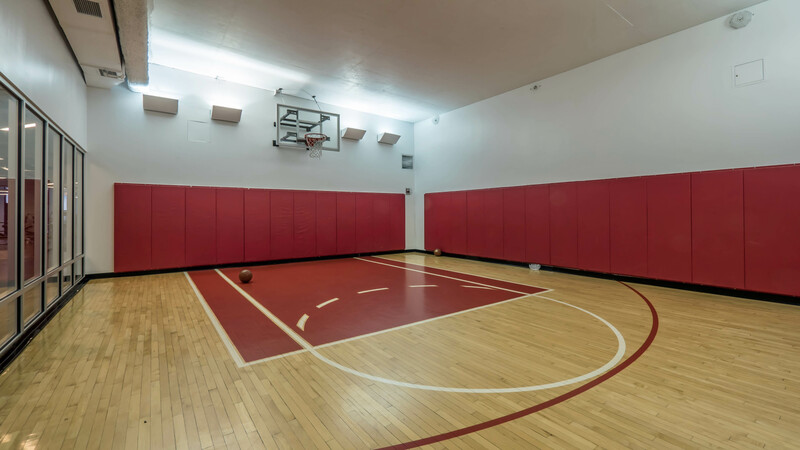 Aqua’s extensive amenities package rivals anything in the city. Hotel guests and apartment and condo residents share access to most of the building’s amenities, including the sprawling outdoor deck. 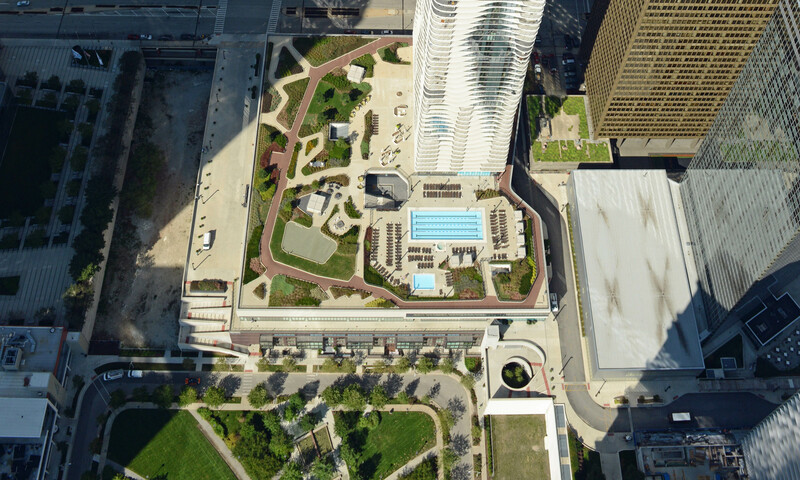 Aqua’s elevated amenities deck is ringed by a 1/5-mile running track and includes a large pool, a hot tub, cabanas, grills, a fire pit, shaded landscaped areas, a variety of deck chair and table seating areas, and stairways leading to the park at Lakeshore East. 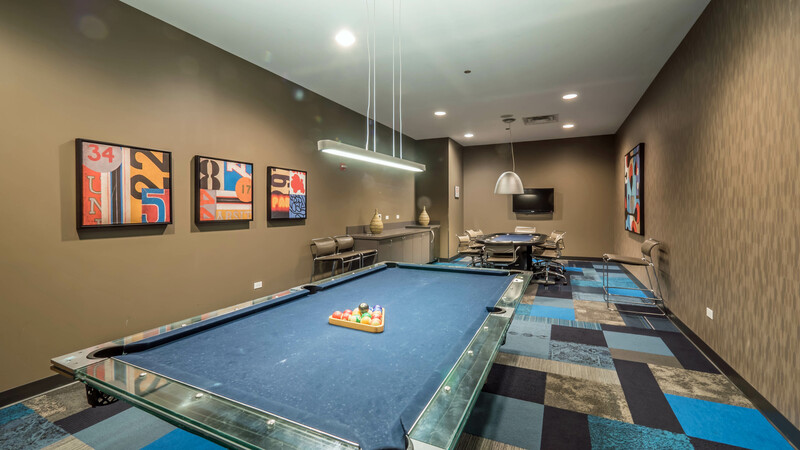 Aqua has resident lounges, a game room and a media room. 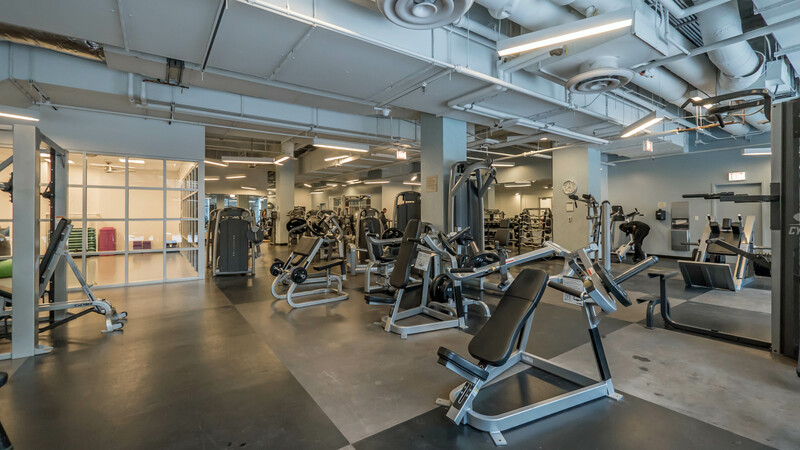 The building has a large fitness center with up-to-date cardio and weight-training equipment. 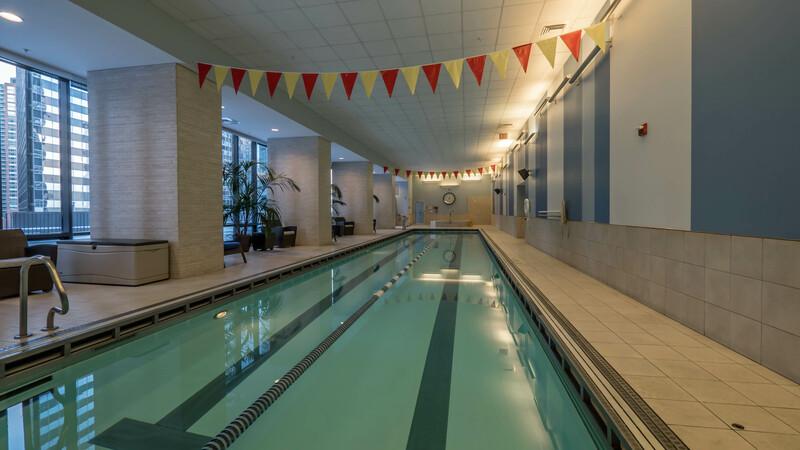 There’s a year-round indoor lap pool in addition to the large outdoor pool. 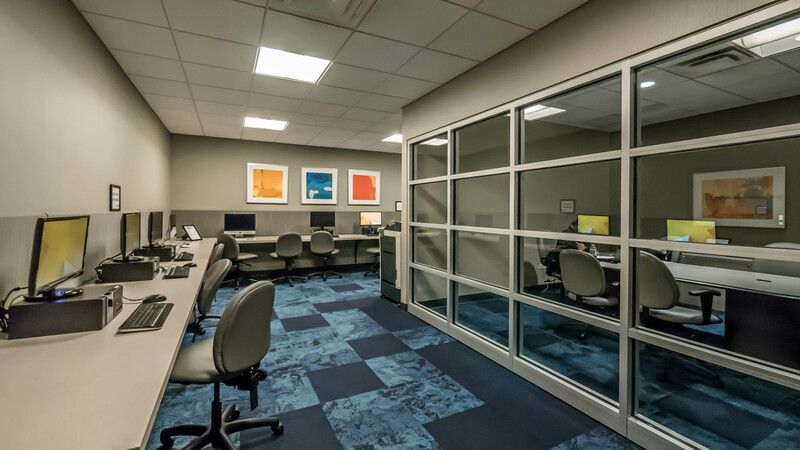 Aqua has a fully-equipped business center with a conference area and several party rooms. The building also has bike storage, resident storage areas and electric car-charging stations in the garage. 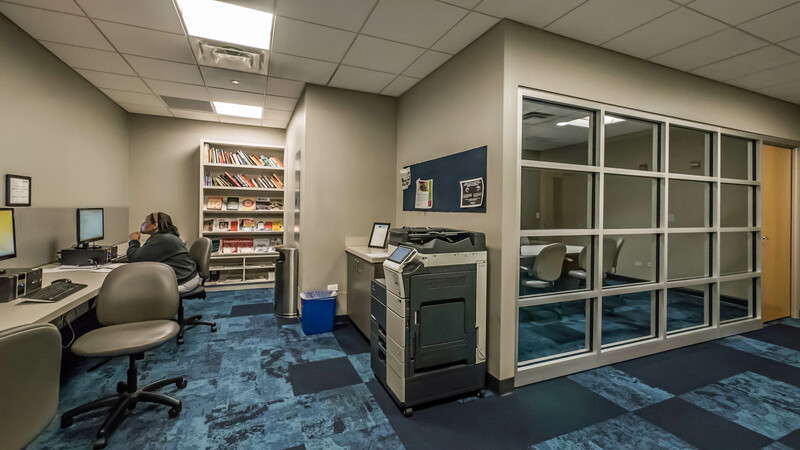 Aqua has on-site leasing, management and maintenance staff and 24/7 door staff. 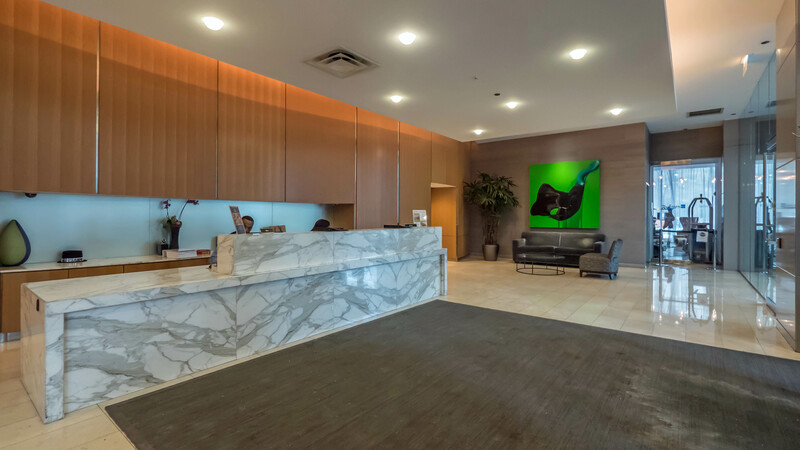 There’s a separate lobby and bank of elevators for Aqua’s apartments. 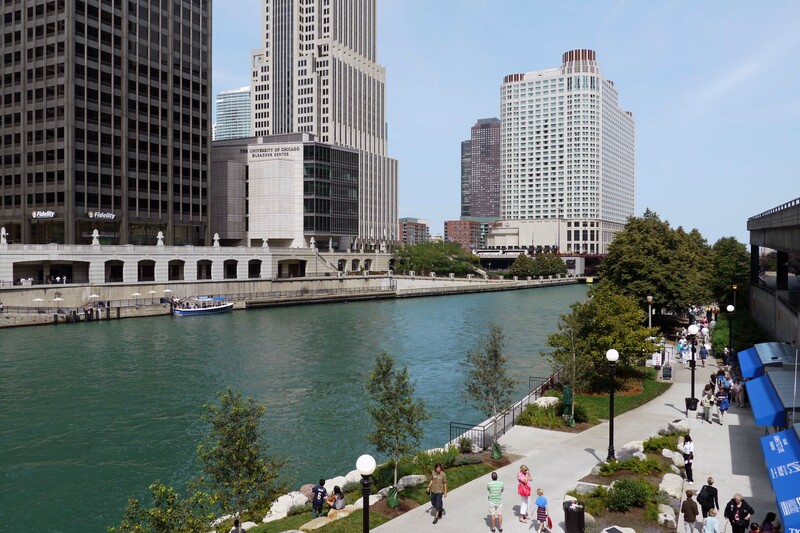 Aqua has good proximity to the Loop, South Loop, River North and Streeterville neighborhoods. The location attracts residents who want to walk to work or to school, and empty-nesters returning to the city or opting for a second home. Shopping. 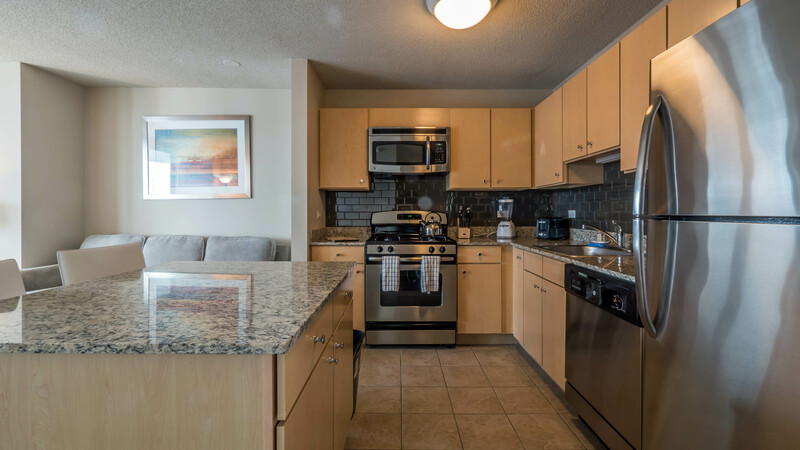 Aqua residents have convenient access to shopping. 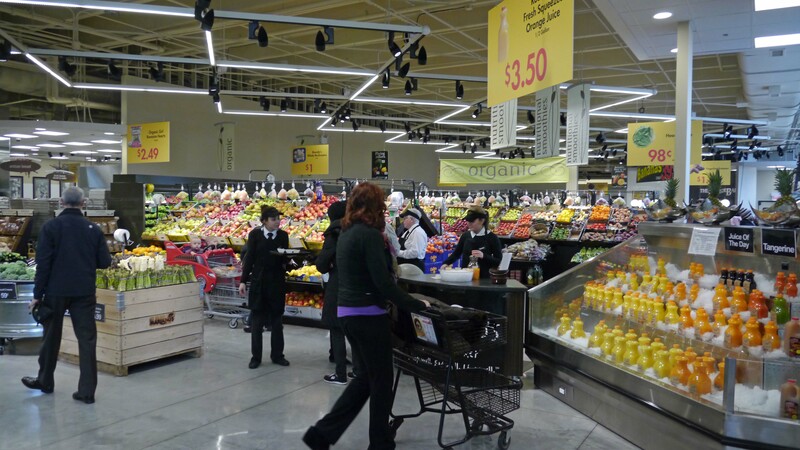 The Mariano’s Fresh Market, just across the Lakeshore East park from Aqua, gets mostly rave reviews on Yelp. There’s a CVS pharmacy in the building. 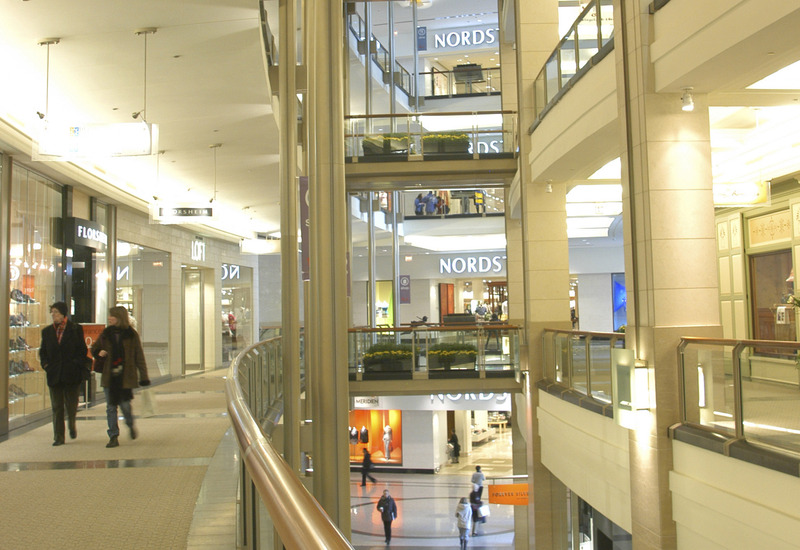 The Shops at North Bridge, 50 stores and 20 restaurants anchored by Nordstrom, and State Street shops, anchored by Macy’s, are within a 10-minute walk of Aqua. 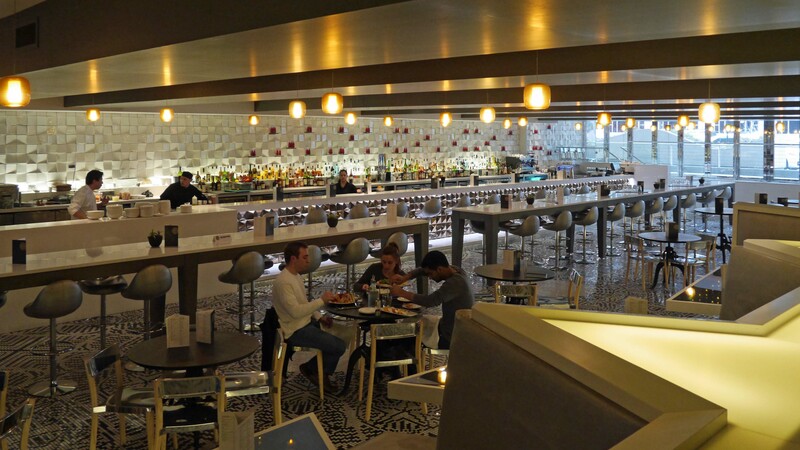 A good option for casual dining is Filini, at the Radisson in the building. There are far too many bars and restaurants within walking distance of Aqua to list. Cultural attractions. 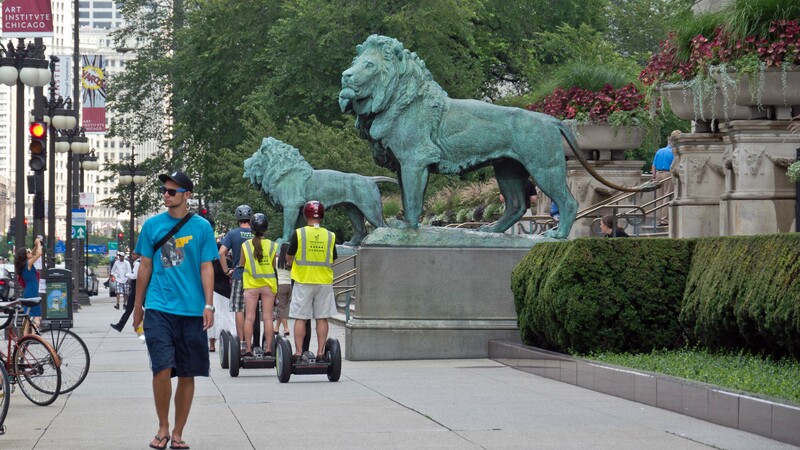 Aqua is near many of Chicago’s top cultural attractions. 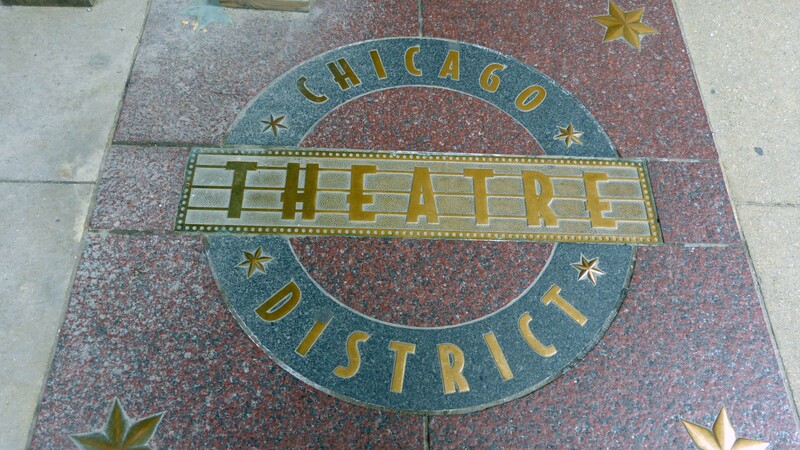 The Loop’s theatre district begins a few blocks west of Aqua. Parks, recreation. 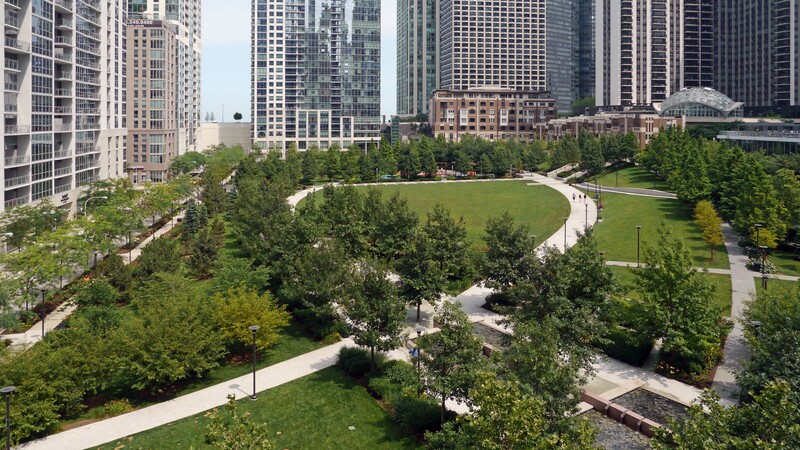 There’s a six-acre park within the Lakeshore East development. 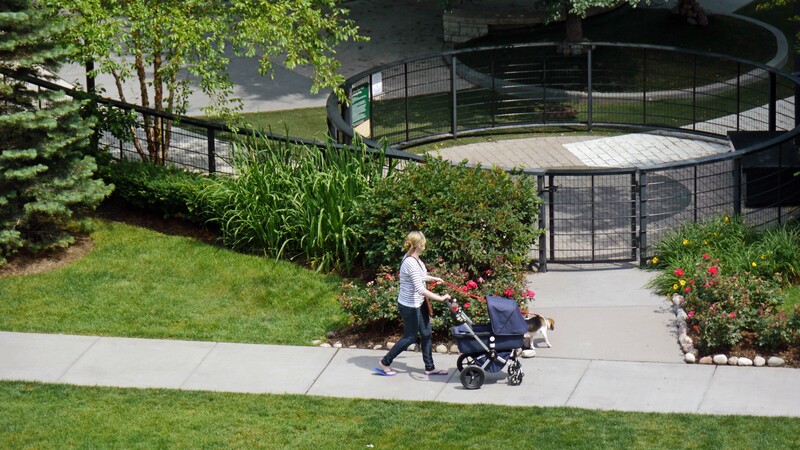 The park, which provides mainly passive recreational opportunities, includes a variety of shaded areas, seating areas, water features and a dog park. 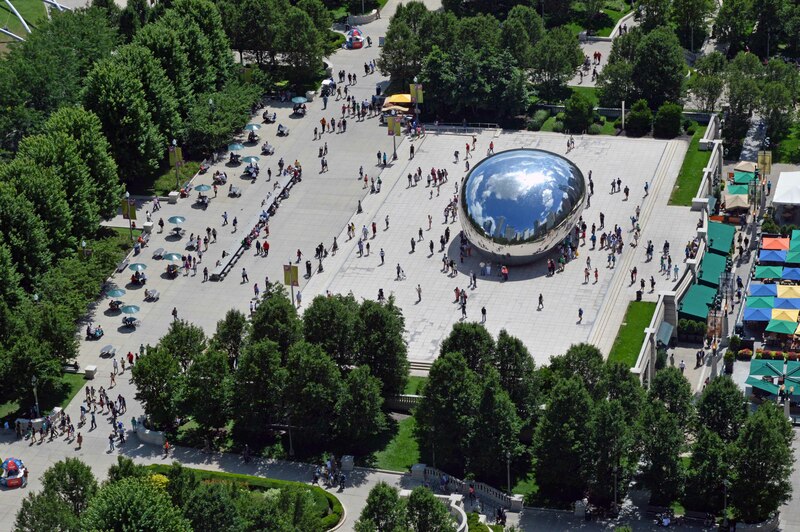 Millennium Park, one of the city’s main attractions, is a short walk south of Aqua. Just north of Aqua is a stairway to the Riverwalk, which is undergoing an expansion. There are a variety of dining and recreational opportunities along the river, and docks for seasonal tour boats. Transportation. 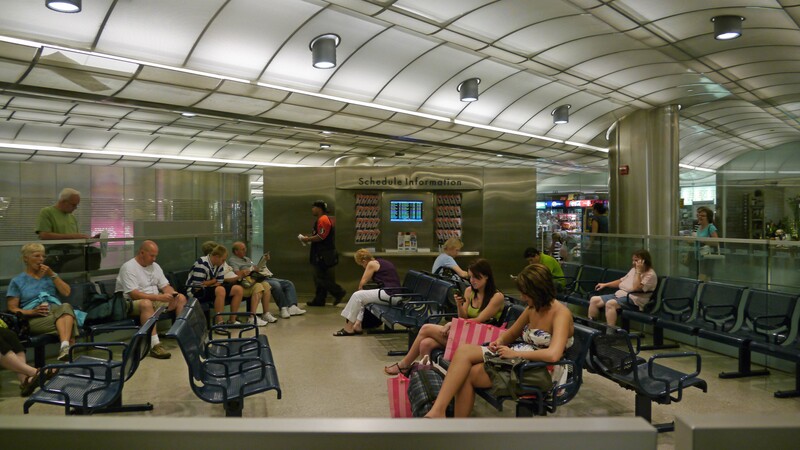 There’s convenient public transportation near Aqua, and a morning rush-hour courtesy shuttle that makes it more accessible. 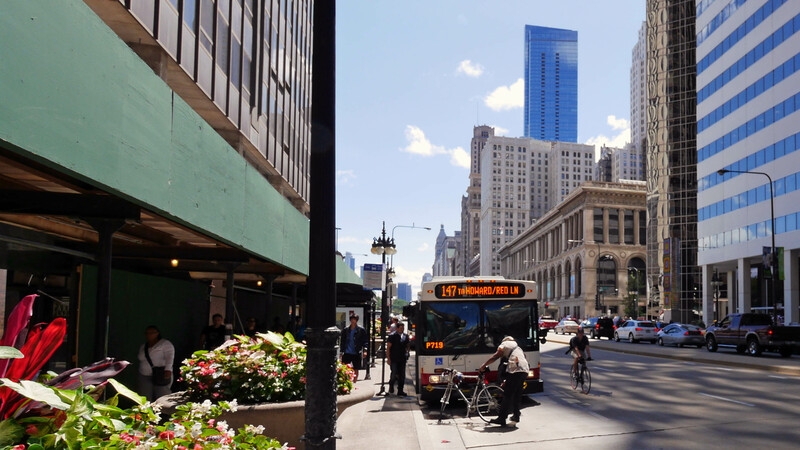 CTA bus routes along Michigan Ave connect to points west, north and south. 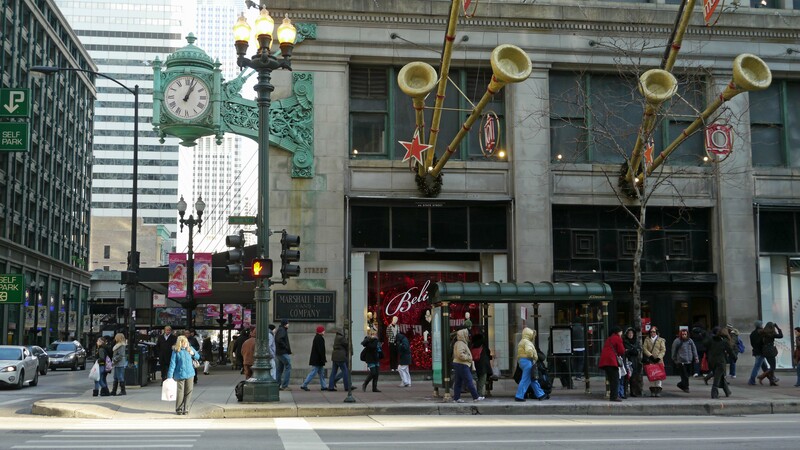 CTA train routes are about a 10-minute walk from Aqua. 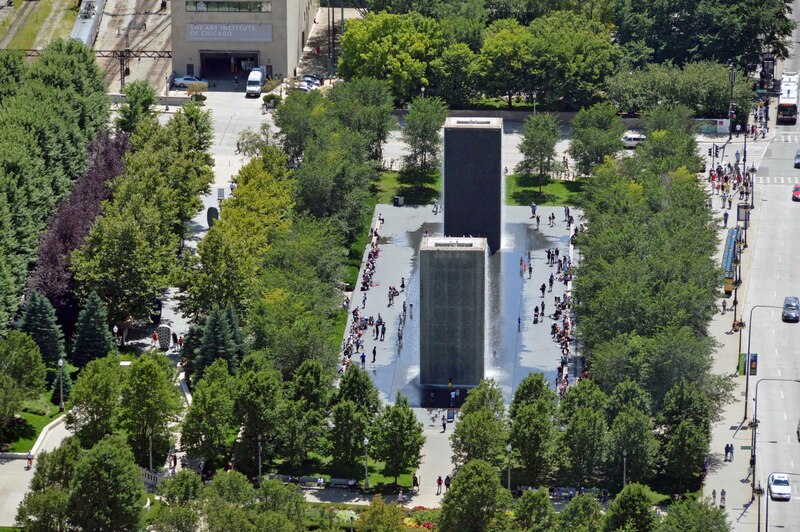 Trains from Metra’s Millennium Station, two short blocks from Aqua, reach the University of Chicago in under 20 minutes. Many Aqua residents may consider cabs the best form of public transportation, and service is available 24/7. A Zipcar car-sharing location is in the building. 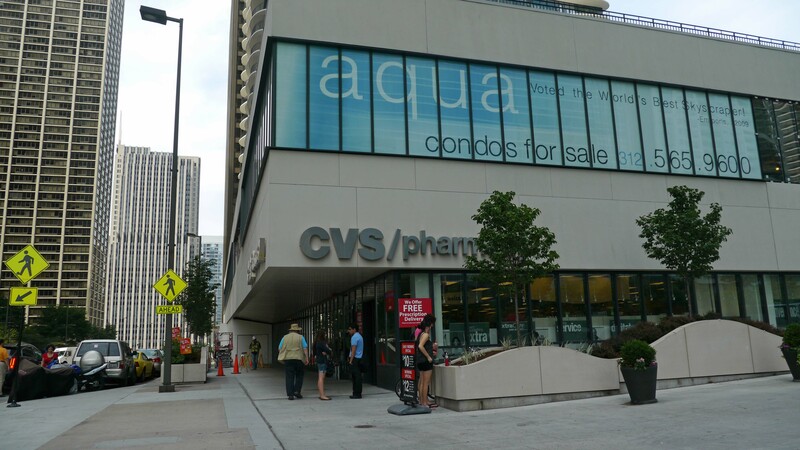 Aqua has good proximity to Lake Shore Drive, but inconvenient access to I-90/94 and the city’s expressway grid. 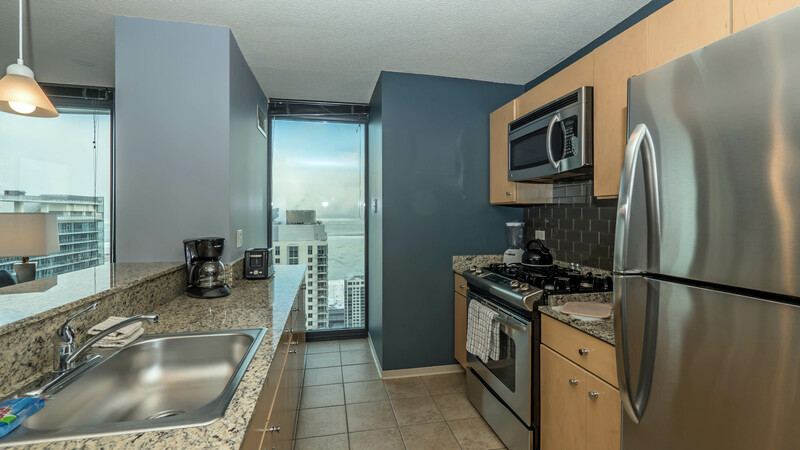 Rentals are typically available in a number of nearby condo buildings, sometimes at lower rents than in the managed apartment buildings. Higher-floor condos at Aqua are also occasionally available for rent. If you’ve lived at or visited Aqua, and are not a real estate agent, add your thoughts in a comment. Comments are moderated, and commercial messages are not allowed.